Some Owl species have asymmetrically set ear openings. 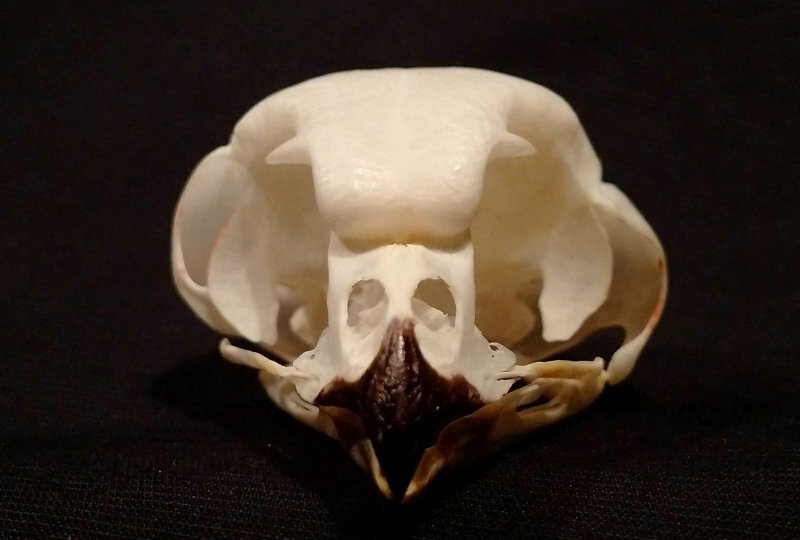 In 4 species, including the Boreal Owl, the ear asymmetry is actually in the temporal parts of the skull, giving it a "lop-sided" appearance. Image © Jim Duncan.